Soft yet tough, they can be used like a real maggot, either on a hook or hair rigged. Can be used on their own or in conjunction with real maggots. Learn how to tie a brilliant tench and bream rig with Enterprise Tackle's Imitation Maggots - YouTube. Another quality egg that bears a resemblance to natural spawn, Orange Deluxe is comparable to brown trout, rainbow trout and steelhead eggs. Orange Deluxe can be pitched in brooks, streams, creeks, rivers, ponds and lakes. A buoyant artificial Bloodworm that can be used singularly or in multiples on a hair rig. By mimicking their natural food source, our artificial bloodworms, enable the angler to target fish such as carp’ tench and bream etc, when other standard baits may be refused. Bait Scissor. A must have item for any saltwater or predator angler. Cuts chum and bait with ease, luring those big predators on to your hook bait. Comfort handle for a good and secure grip. 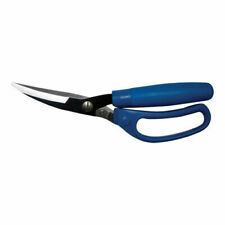 Mustad Bait Scissors available to buy online from First4Fishing. STYLE: OCTOPUS. WARNING: HANDLE WITH CARE. KEEP OUT OF THE REACH OF CHILDREN. COLOR: NS BLACK. ESP BIG BUOYANT SWEETCORN. ESP sweetcorn is perfect for a wide variety of presentations from balancing or tipping boilies or nuts, to creating the perfect pop up. The larger sizes are also ideal for zig rigs. Enterprise Tackle's imitation bait range - great for big carp! Ideal for any surface presentation situations where real bread would prove impossible to use. Can also be use as a anchored bottom bait or zig rig bait. They are super buoyant, scented, soft yet durable eggs that let you do it all. Fish a single egg or create any size cluster to float your hook! To create an egg cluster, simply take an EZ Eggs strand, tie a few overhand knots, then attach onto your hook or into bait loop. Designed primarily to disguise the bare hook when using hair rigged baits, hook skins resemble bloodworms which form part of a fishes natural diet. They can also be used on there own as a larger bloodworm bait. Enterprise Tackle Sinking Corn Sweetcorn available to buy online fromFirst4Fishing. Top carp angler Frank Warwick talks through his favourite carp rigs - YouTube. Tie the perfect Combi Rig - ideal for big carp - YouTube. With the Booyah Boo Teaser Rig, you can add the highly effective bait-chase characteristic to any lure presentation. The flexible arm lets crankbaits swim naturally, enticing more fish to strike. Can be fished shallow or deep. Enterprise Tackle Fluoro Glow Maize available to buy online fromFirst4Fishing. Top Tip - Boost the performance of your imitation baits by using anEnterprise Tackle Flavour Pot. Specially formulated liquid flavours developed to penetrate imitation baits. Black Cat baiting wire is suited to many rigs in catfish angling. The wire is used in conjunction with the Double Hook for fixing hooks directly onto the bait or for building vertical and spinning rigs. Gardner Mini Flexi Bait Swivel. A fast and convenient way to mount hook baits securely. Directions for use - Simply place the sweetcorn hair stop, grooved side up, into the hair loop before pulling the hair tight, ensuring the loop sits in the bottom of the groove. Top carp angler Frank Warwick talks through his favourite carp rigs - YouTube. Learn a key carp edge with Frank Warwick and catch more fish! Enterprise Tackle Mini Tiger Nuts - YouTube. Top Tip - Boost the performance of your imitation baits by using anEnterprise Tackle Flavour Pot. CORKIES 100 PKS. COLOR: Flor Chartreuse. PROVEN SUCCESSFUL FOR WALLEYE, STEELHEAD, SALMON AND TROUT, EAST DRIFTERS ADD COLOR AND FLOATION TO ANY DRIFT RIG. Top carp angler Frank Warwick talks through his favourite carp rigs - YouTube. Top Tip - Boost the performance of your imitation baits by using anEnterprise Tackle Flavour Pot. Specially formulated liquid flavours developed to penetrate imitation baits. Our Sinking Hemp has been designed to fool fish that may be wary of a larger hook bait. Soft white rubber kernel makes hooking easy and ensures the hook stays firmly in place. Use a single grain for roach on a small hook by passing the hook through the soft rubber kernel, or several grains on a hair rig for carp or barbel. Berkley Powerbait. Great for Ice Fishing, Trout fishing, warm water fish too! Magnum Power Eggs. Troutbeads Peggz are double ended rubber pegs. Non abrasive so you don't scratch your leader like a toothpick can. No Exceptions! Fishing Apparel. Other Tackle.